Posted May 11th, 2011 by Hoffy Cycles. With all the beautiful scenery which Brisbane has to offer, what better way to enjoy the flourishing landscape and sunny skies, than on your bike? There’s a whole world full of new and exciting adventures out there, so why not make the most of your cycling Brisbane experience by taking to your two wheels, and venturing out into the great outdoors. Here at Hoffy Cycles, we can equip you with the perfect bike, giving you the freedom to discover new and beautiful parts of Brisbane. Throughout the city lies 900 kilometers of bicycle paths, which lead to a wide and varied array of hidden viewpoints and breathtaking panorama. 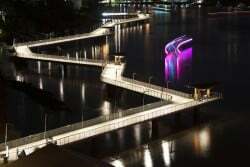 Just outside of the city centre you’ll find stunning stretches of paths that run next to the beautiful Brisbane River. Perfect for a lazy afternoon, you’ll be able to enjoy comfortable pedalling alongside the cool and sparkling river, which will make a refreshing break for anyone looking for a great afternoon out, without having to spend a single penny. 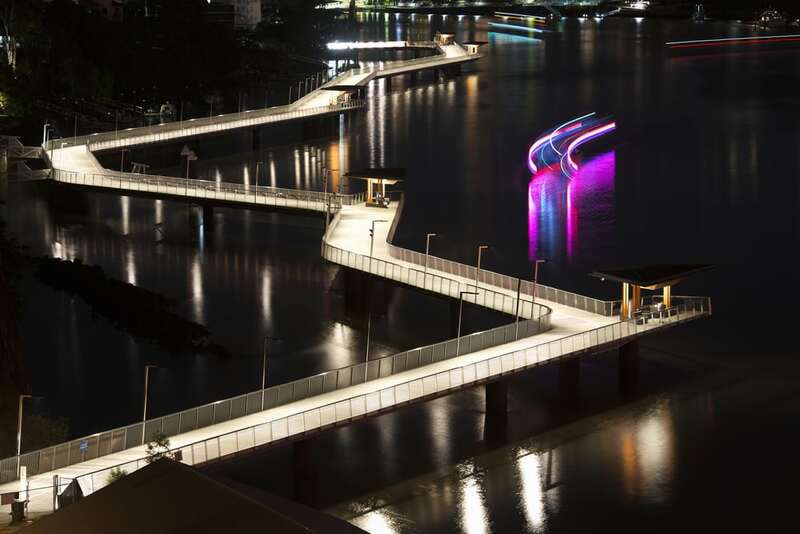 Littered with a network of intricate shared pathways, both cyclists and pedestrians are able to explore Brisbane in peace. There are many different maps which you can easily pick up that will uncover an array of routes, trails and culture paths which may not have known about. When you’re out and about on your adventure, there’s no need to worry about where to store your bike if you want to nip into a nearby cafe for a bite to eat. Dotted all over the city, you’ll find cycle pods, bike shelters and bike racks to keep your cycle safe and secure. In King George Square, you’ll also find special facilities just for cyclists, including showers, locking and further parking. If you’re feeling like exploring a little further afield, why not think about using public transport to get to your ideal cycling destination? Much of the transport around Brisbane is very accommodating of cyclists, and will allow you to take your bike on with you. Our service for bike hire which includes a range of folding bikes will also allow you to use all methods of public transport with ultimate ease and style. So what are you waiting for? Begin your adventure today by visiting us in store, or by viewing our range of excellent bikes online, to embark upon cycling experiences you’ll never forget.